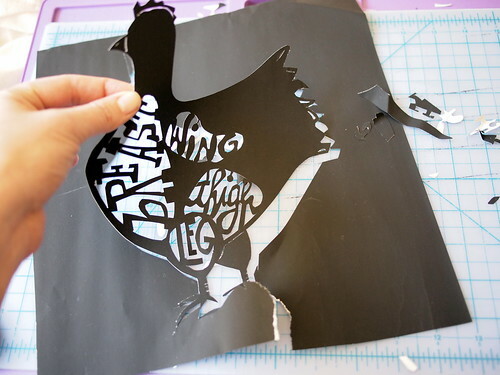 papercut chicken. 8.5 x11 print. Available here. 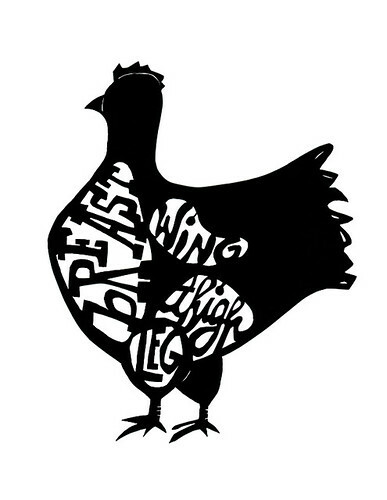 By special request of the enthusiastic team at Ragazza restaurant in San Francisco, I present the fourth in my papercut print series, the humble chicken. Nothing flashy, but the chicken knows you want it. Oh, it knows. Print of the papercut is available in my shop. But I really do cut out the original papercut by hand from a single sheet of paper. I haven't quite been able to perfect the mounting of the original papercuts, which is why I haven't added original papercuts to my shop yet. But I'm working on it.